The MXP144FX has selectable 48-volt phantom power so you're free to mix in the warm, natural response of your favorite condenser microphones. 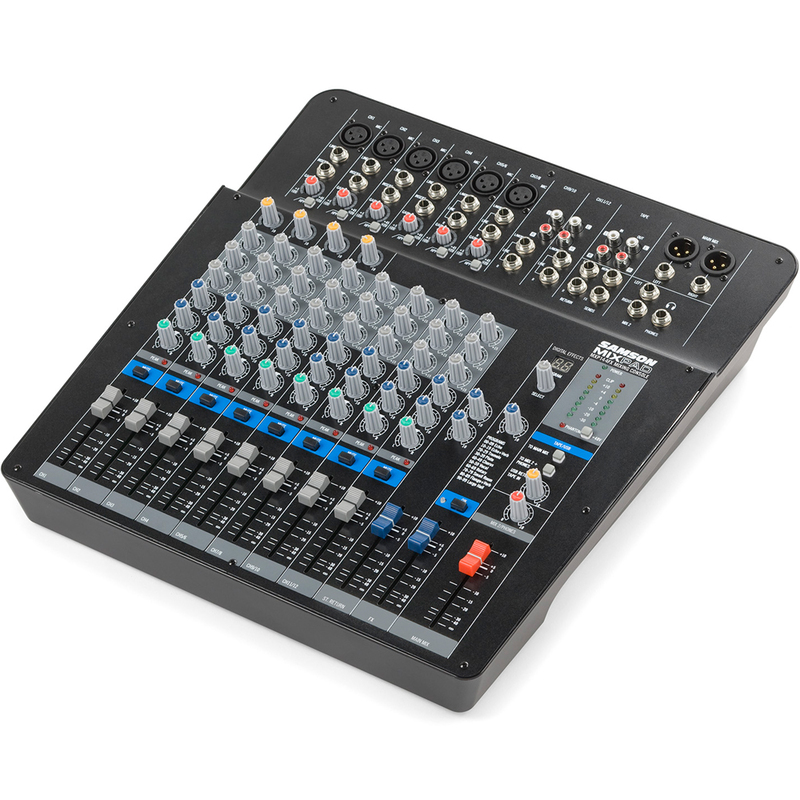 Further catered to live performance, the MXP144FX includes brightly colored knobs, as well as 8-segment LED level metering for safe and efficient operation in dark environments. 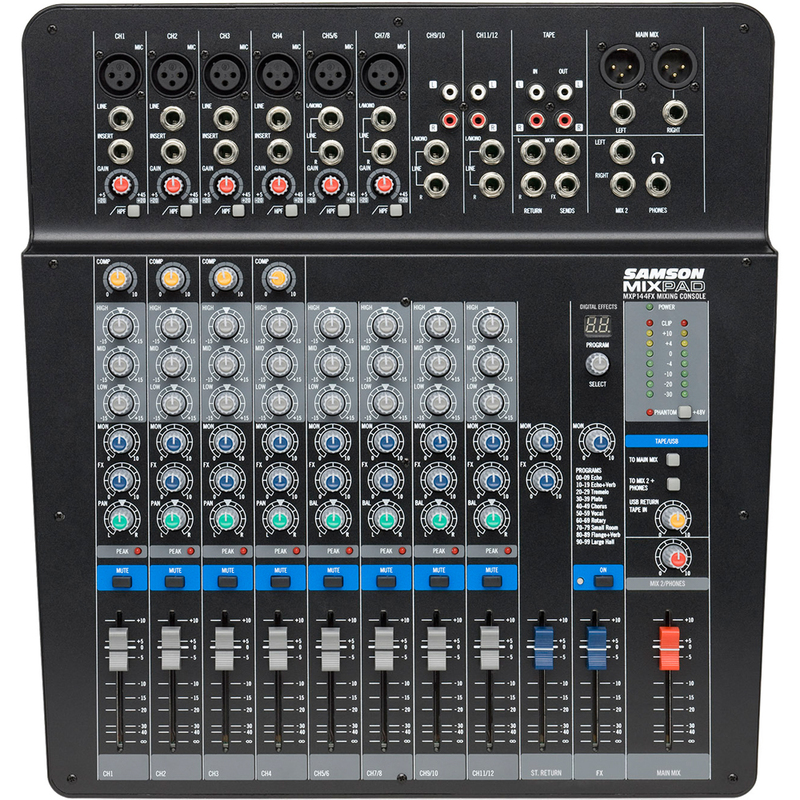 Portable, easy to use and jam-packed with features that ensure optimal control over your performance, Samson's MixPad® MXP144FX represents a new era of possibility for affordable live mixers.